Earlier this month Italian spyware company 'Hacking Team' suffered from sever cyber attack on which about 400GB of data's were leaked online. Security researcher and investigator continuously digging the leaked data dump, and many more things have came forward on investigation. 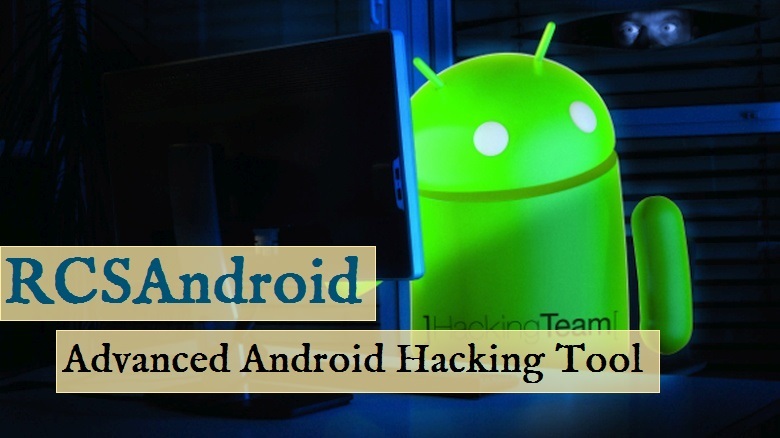 Now again another wired thing came to know that Hacking Team's leaked data contains a source code of a Android Hacking tool which have a capability of infecting all Android based devices even users are running latest version of the Android. Researchers from Trend Micro have discovered a advanced Android hacking tool called RCSAndroid (Remote Control System Android), source code on the leaked data dump of Hacking Team, which is one of the "most professionally developed and sophisticated" Android hacking tool ever seen till yet. As this is one of the ever seen sophisticated hacking tool, RCSAndroid have a great powerful features which help government and law enforcement agencies around the world to completely compromise and monitor Android devices remotely. Capture real-time voice calls in any network or app by hooking into the “mediaserver” system service. How RCSAndroid hacking tool works? There were two methods by which attackers targets users. The first method is using a text message or email which contains a specially crafted URL that triggered exploits for several vulnerabilities (CVE-2012-2825) and (CVE-2012-2871) in the default browsers of Android versions 4.0 Ice Cream Sandwich to 4.3 Jelly Bean, allowing the attacker to gain root privileges, and install the RCSAndroid APK. The second method is to use a stealthy backdoor app such as BeNews, which was especially designed to bypass Google Play, that exploit local privilege vulnerability in Android devices to root the device and install a shell backdoor. As the tool source code is now available to everyone, means every Android users is under threats. It is recommend to all users to disable app installations from unknown, third-party sources. Use mobile security solution to secure your device from threats. Even you are running latest version of the operating system still you are under the circle of threatning.